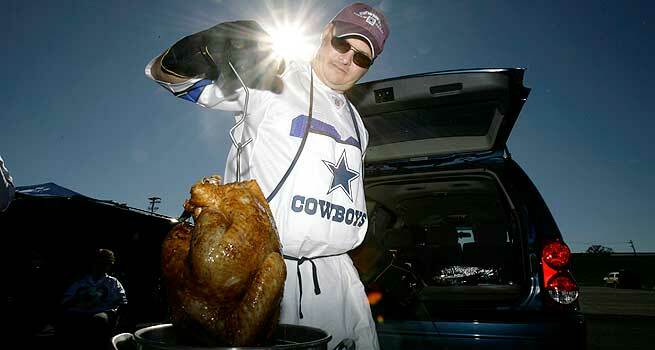 It ain't easy to deep fry a turkey without burning the house down so doing it at the game may be a good idea. Speaking of turkeys, 'tis be Thanksgiving week and that means the Cowboys will be playing, this time against the Dolphins. That game will be on CBS as well as the doubleheader this Sunday. The early games are Bills-Jets, Browns-Bengals and Texans-Jaguars while the late games are Patriots-Eagles and Broncos-Chargers. Continue reading for announcing assignments and distribution splits for the NFL on CBS Sports.